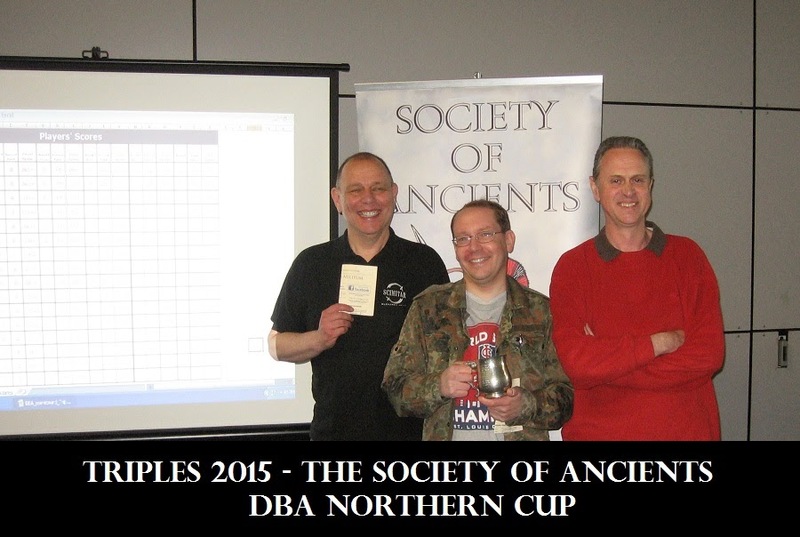 The SoA DBA Northern Cup at the Sheffield TRIPLES show. This was the 11th annual Northern Cup and as smoothly organised as ever by our stalwart Lincoln friends. 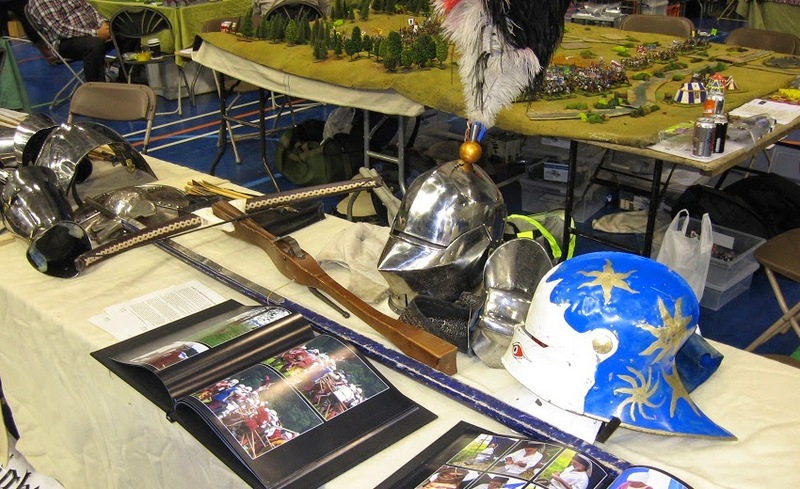 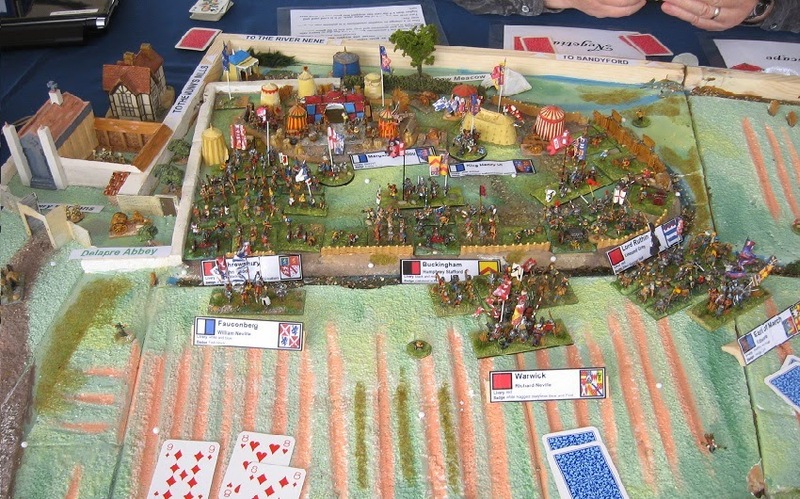 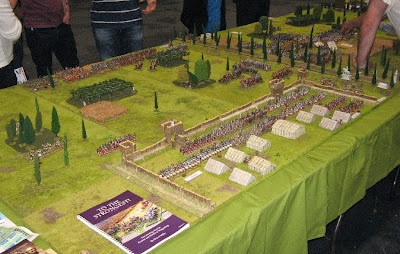 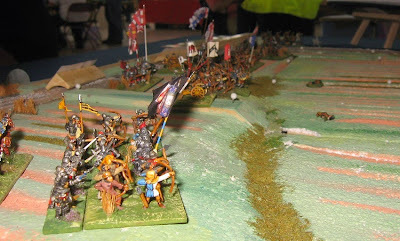 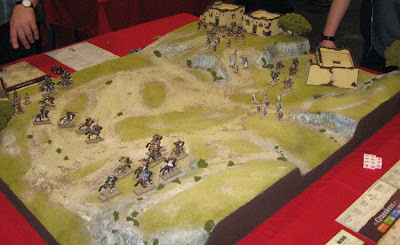 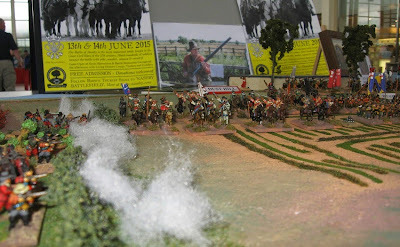 The theme was Britain: a Nation at War' and featured scenarios from ancient times to the Wars of the Roses. The possible boards (draw randomly for each round) were: Ancient British vs Caledonian; Pictish vs Late Imperial Roman; Scots Irish vs Sub Roman British; Norse Irish vs Norse Irish; Welsh vs Anglo Norman; Scots Common vs Scots Isles and Highlands; Feudal English vs Feudal French; House Stark vs House Lannister. 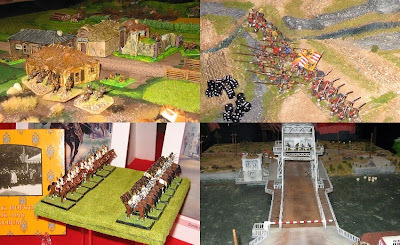 I know a lot of fellow enthusiasts insist it is all about the game (or all about the minis), but I think the additional display features, exhibits and interpretations are all part of a good presentation these days: not only do they catch the eye, they also give another crack at explaining to casual browsers why you think your period or genre is worth their attention. 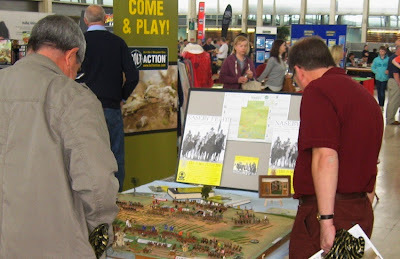 An all too brief look round from me, but lots to see and do. 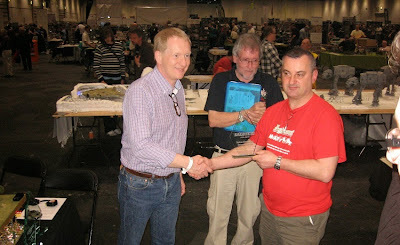 Phil Johnson won with Pete Duckworth (2nd) and Scott Russell as runners up. 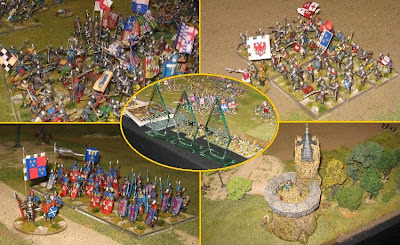 Thereafter ... Dennis Grey; Martin Smith; Paul Hodson; Colin O'Shea; Graham Fordham, Tom Howes and Tom Whitehead; Richard Pulley; FrankShaw; Martin Myers. Phil Steele and Mark Johnson jointly propped up the table. 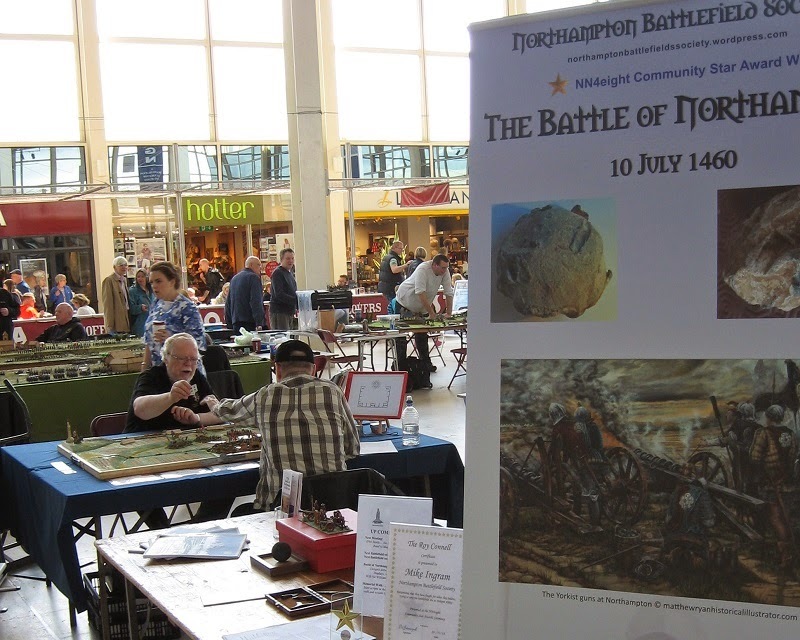 A thoroughly good day out. 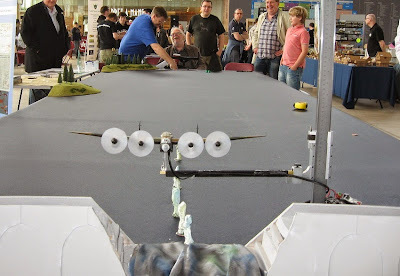 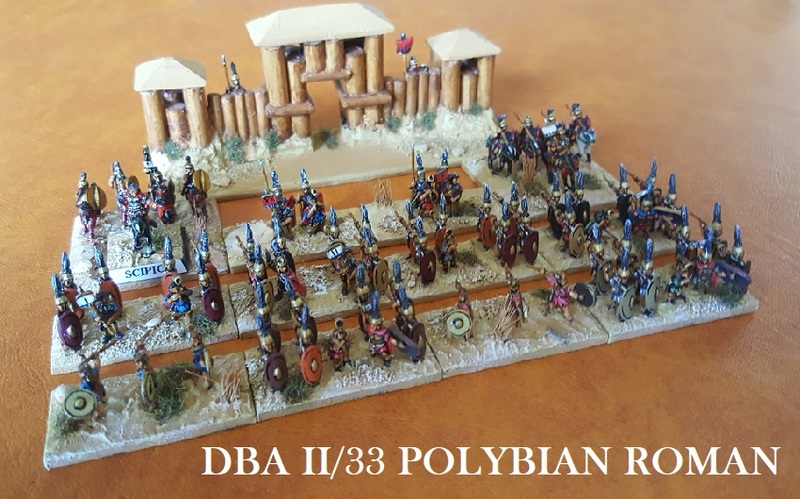 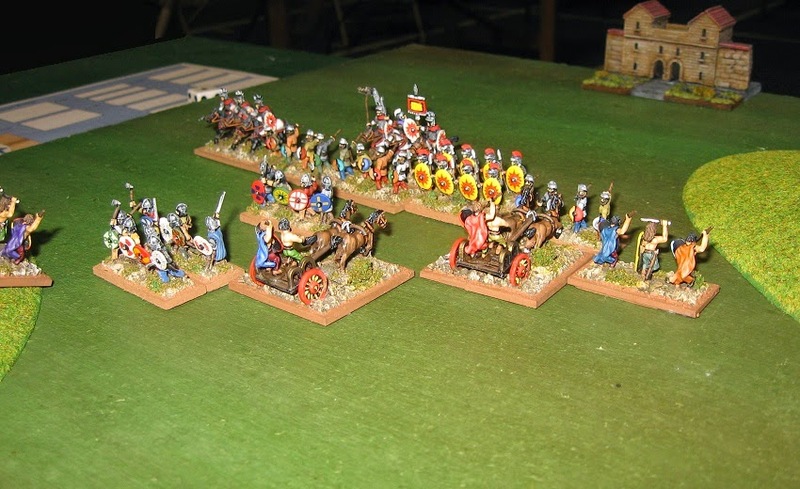 Thanks to Paul and Tony for organising the event, Sheffield Wargames Society for hosting it at Triples, and to the Society of Ancients for sponsorship. 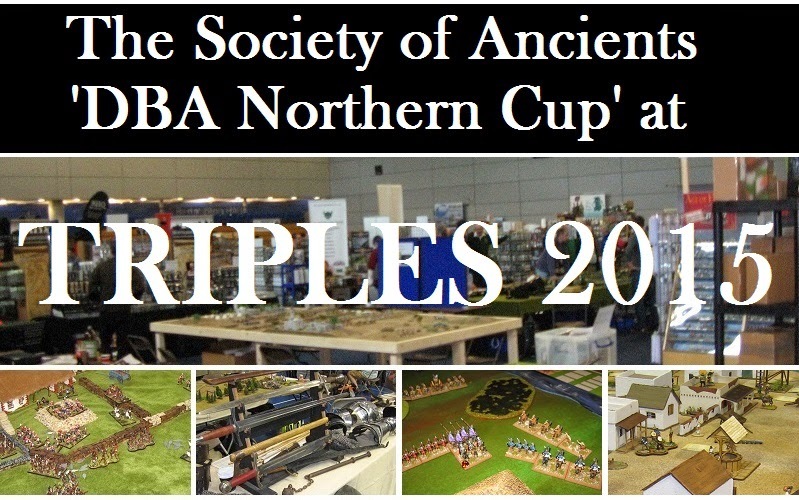 See the Society's Shows North team next at Partizan at the end of the month. 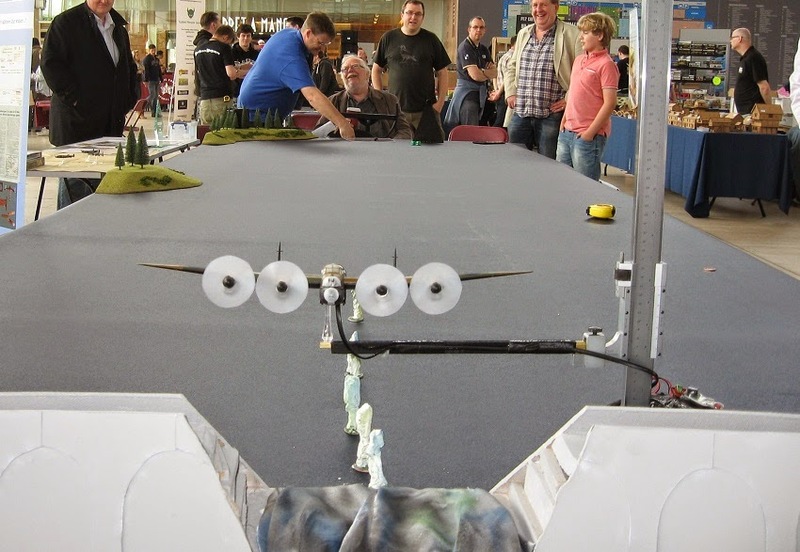 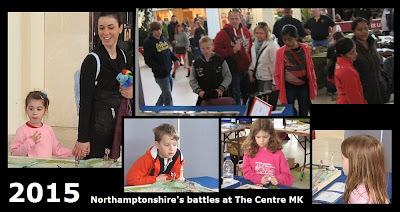 Well done MKWS in getting Campaign back on in Milton Keynes Central shopping atrium: the wargames show with open access to ordinary members of the public. 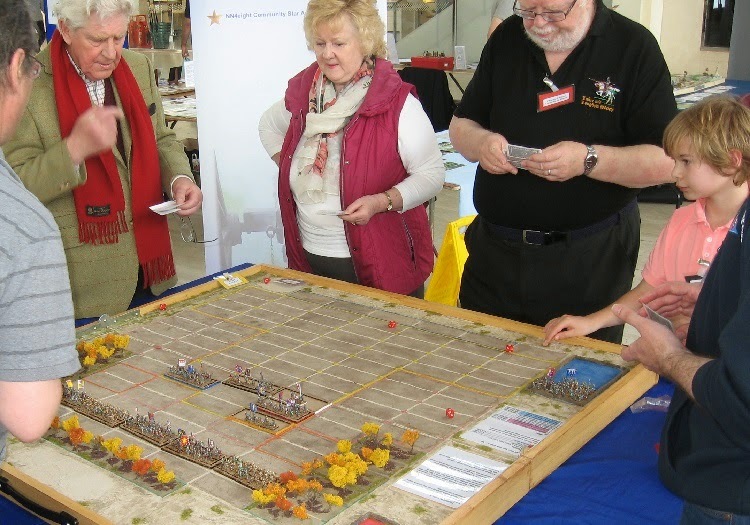 The Society of Ancients has been proud to be associated with this initiative since its inception and is keen to do its bit presenting our wonderful, life-change and life-affirming leisure interests to a wider public - young people in particular. 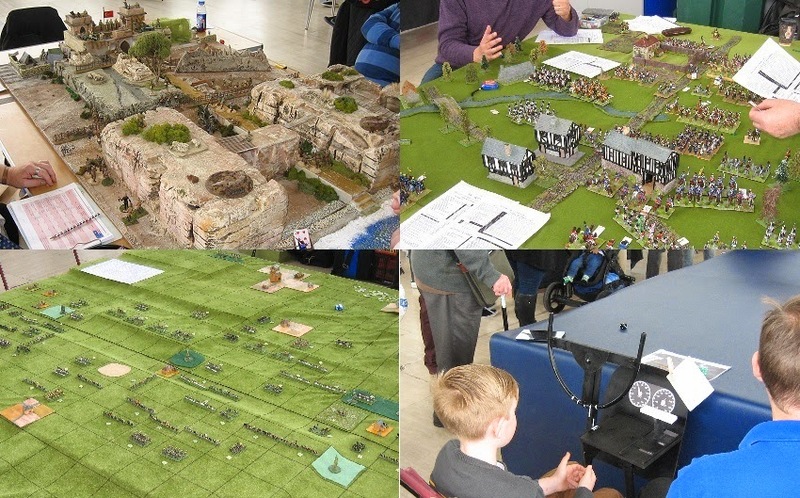 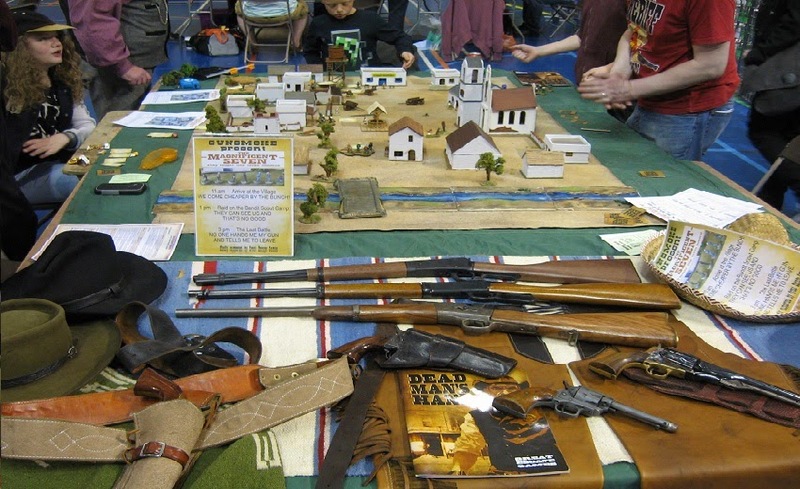 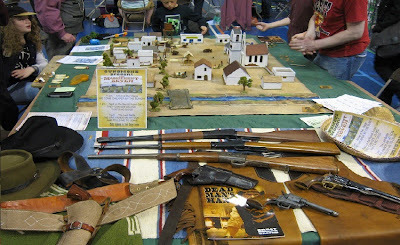 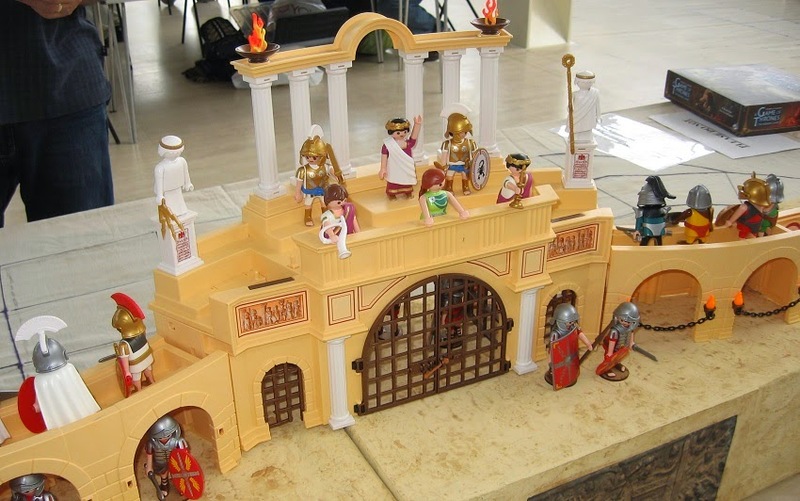 Kids today lead very deprived lives that may not involve libraries, museum - even, I am told, toy soldiers (though that can hardly be believed) and are often misled that games are mostly noisy, head-scrambling video and console challenges. 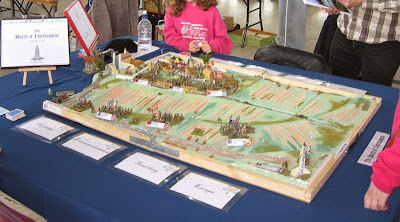 This year, the Society stand hosted a participation game by the Northampton Battlefields Society (Northampton 1460: figures and layout by Shows North and Fluttering Flags; game design and umpiring by Trebian), a display by The Battlefields Trust (we had a reenactor in kit coming but he was taken ill) and a battlefield display by The Naseby Project (again, figures and layout by Shows North and Fluttering Flags) promoting their massive June 13/14 event. 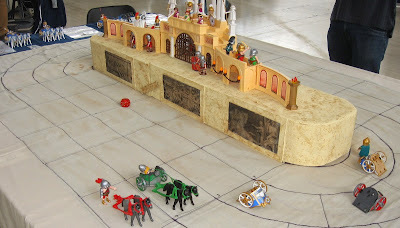 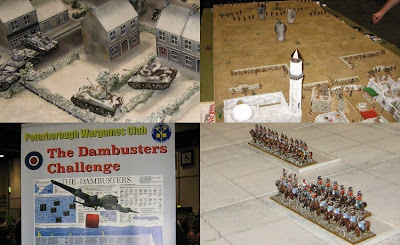 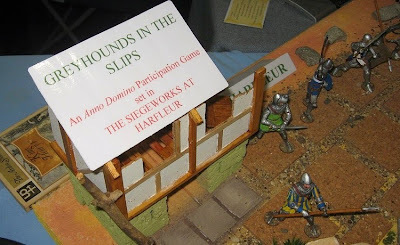 Other periods were represented, though, I have to say, with the notable exception of the eye-catching Dambusters game (another Salute veteran) the ancient and medieval games clearly had the edge. 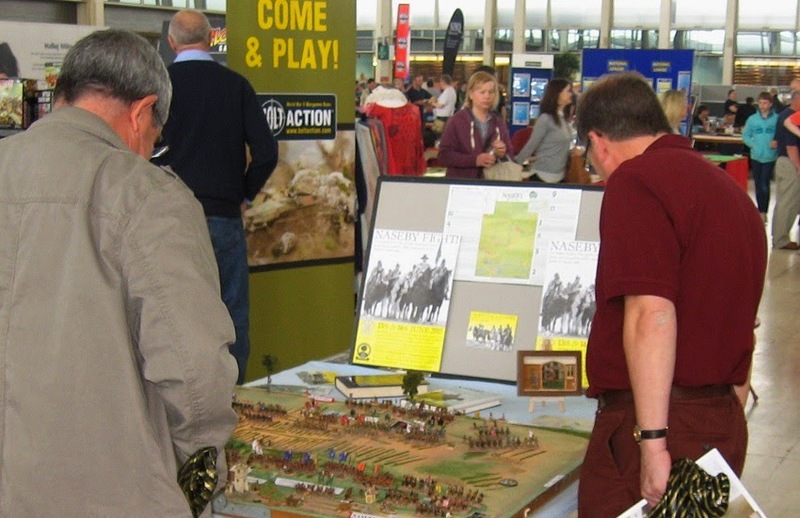 So a big thumbs up from the team and plenty of smiling faces from the public ... some new enthusiasts recruited and a lot of leaflets distributed. A great show. 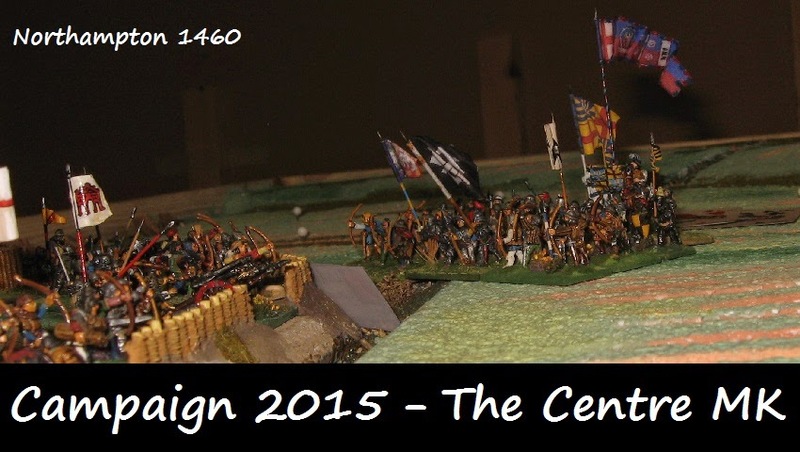 Write to the Centre's managers and tell them how much you like the show. Shows North will be doing Yarmuk at Partizan at the end of the month. 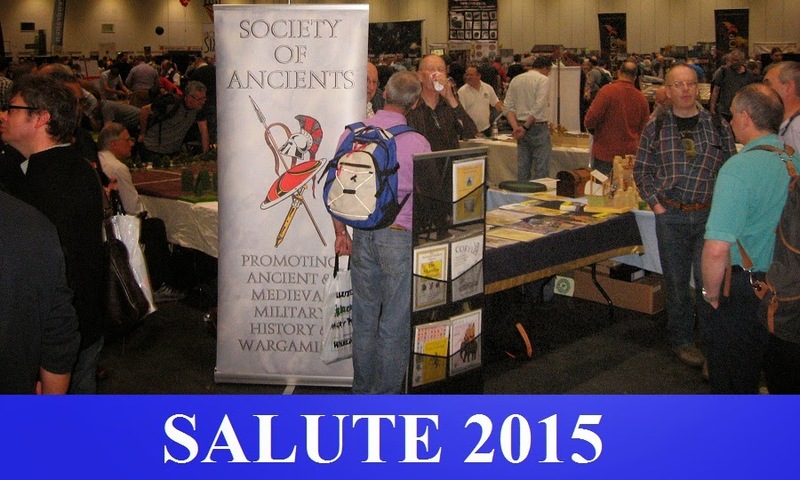 Salute likes to have a theme ... and the Society is seldom able to join in with it ... this year was different, however, and the theme, Agincourt, felt directly into our period of remit. 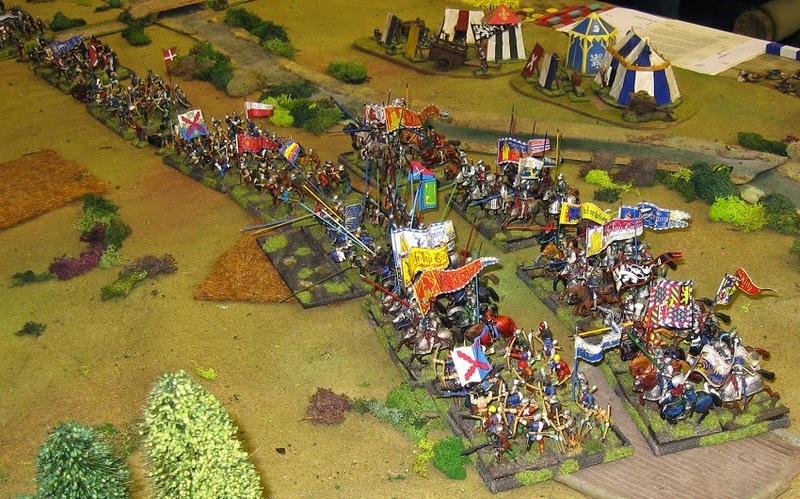 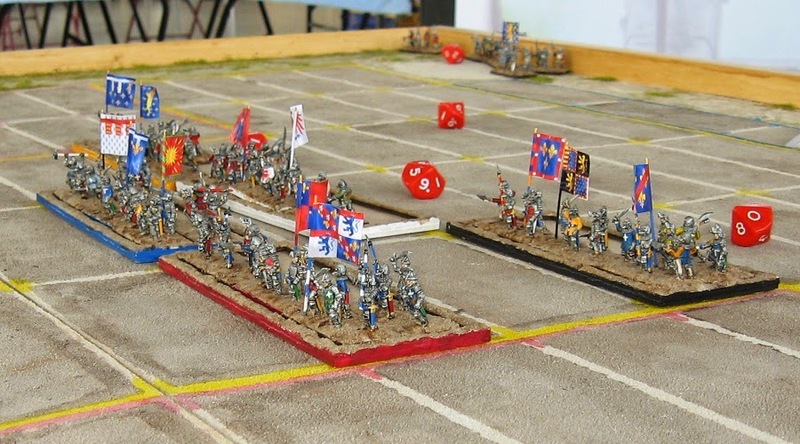 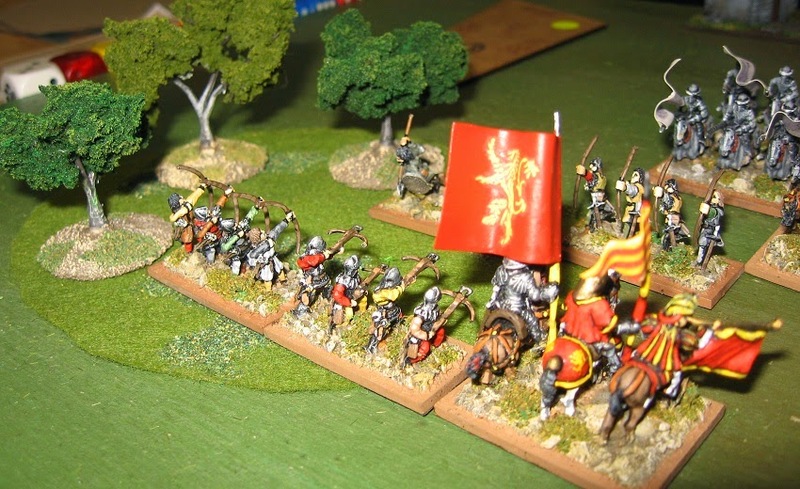 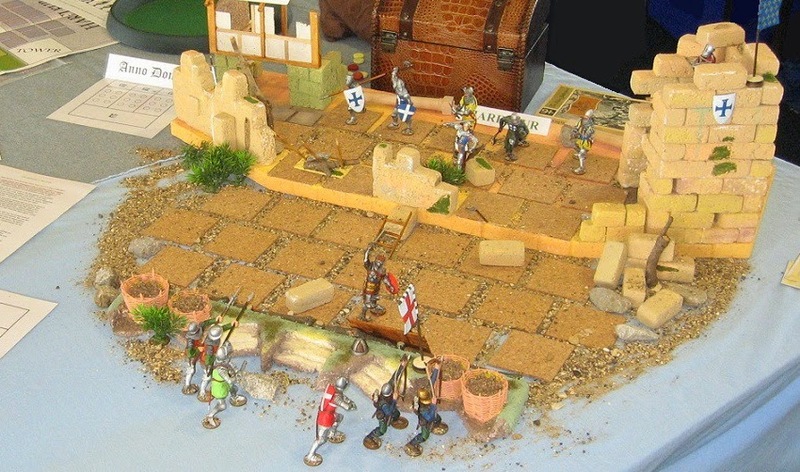 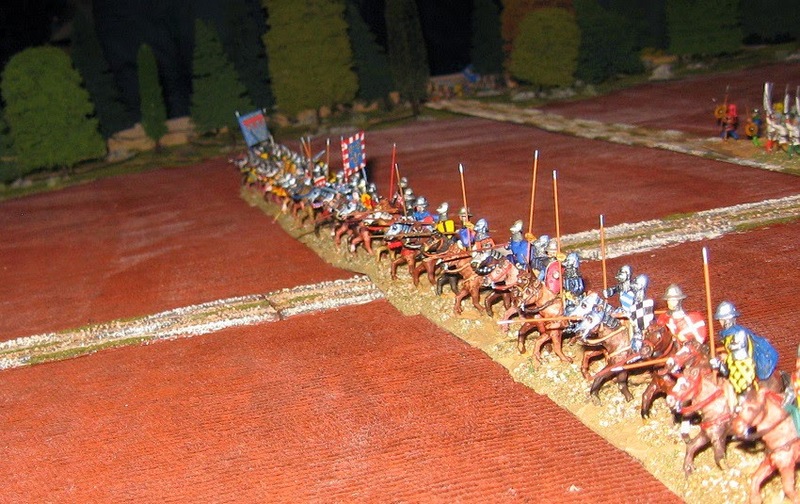 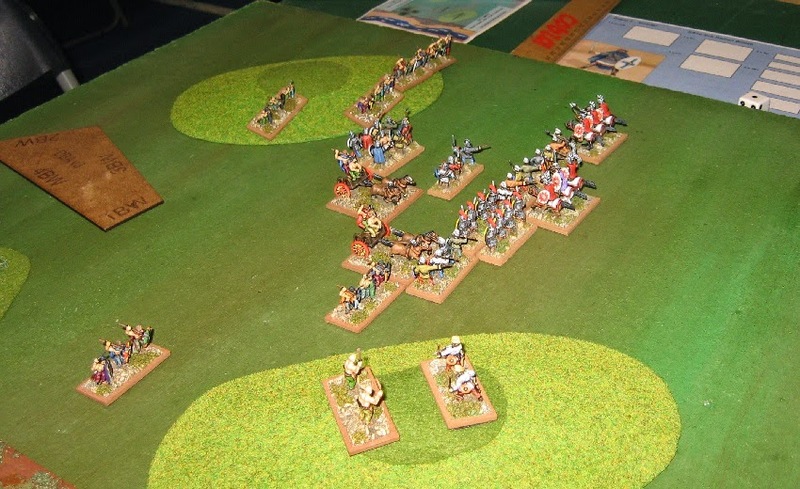 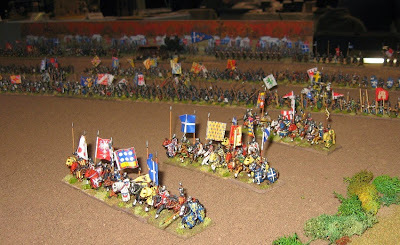 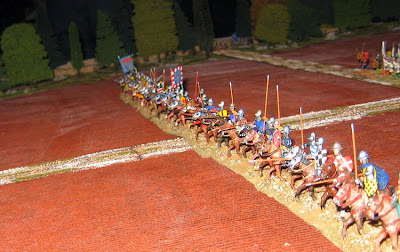 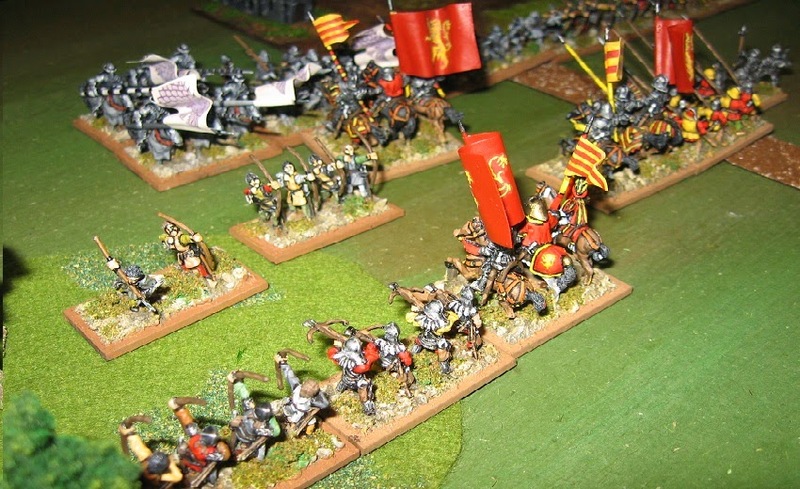 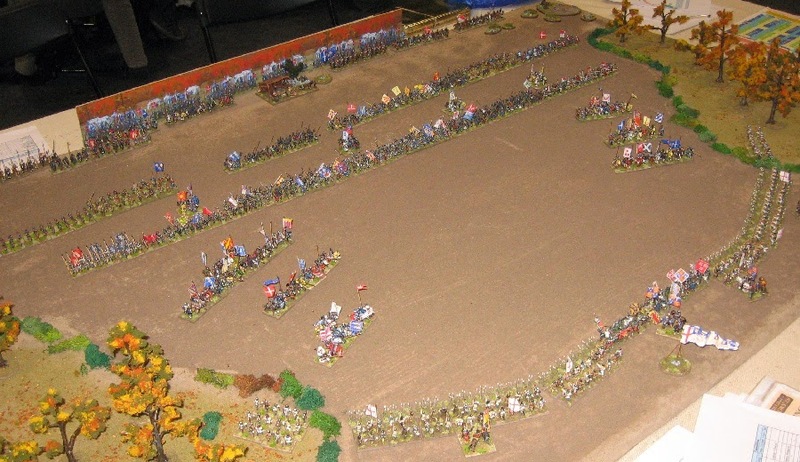 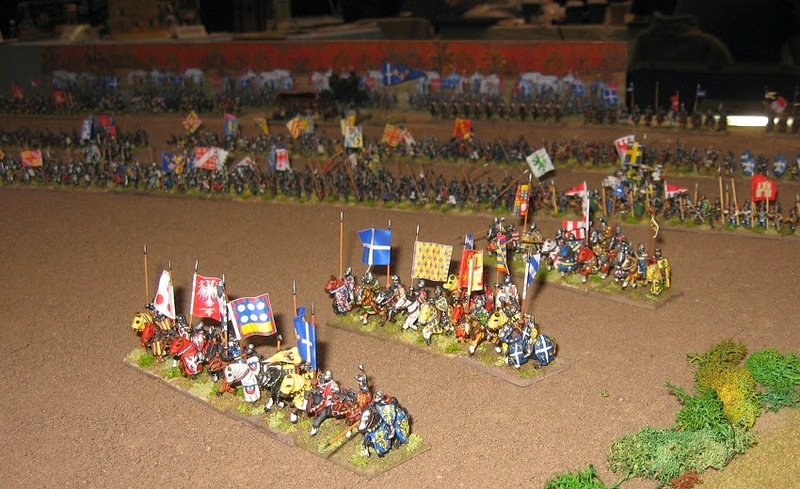 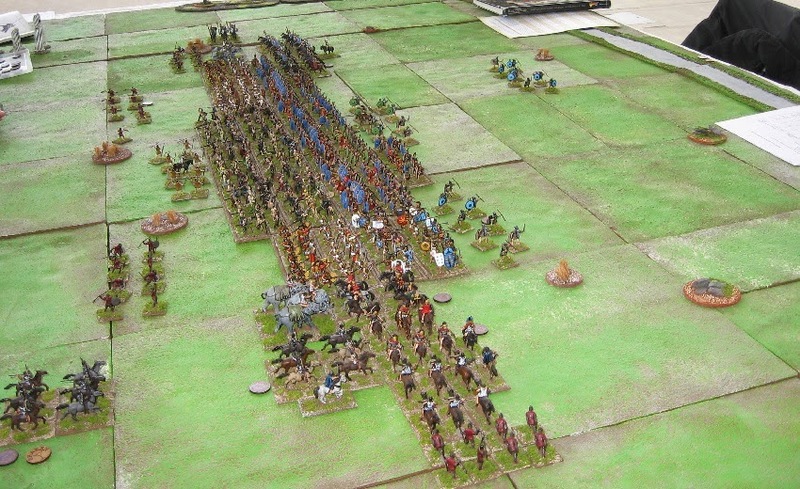 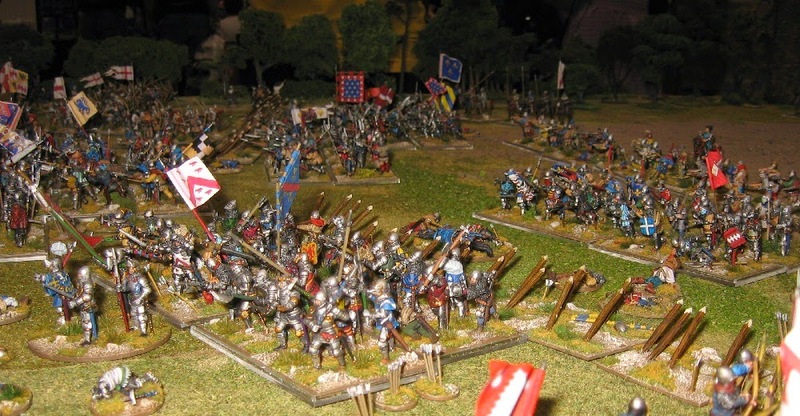 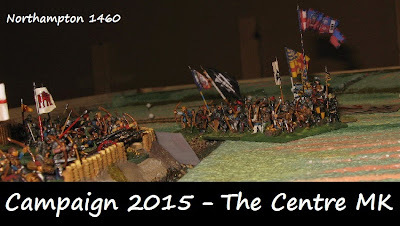 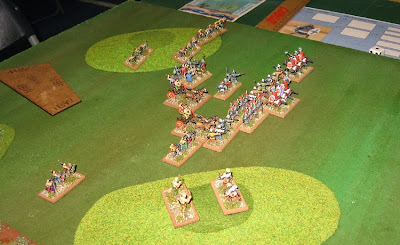 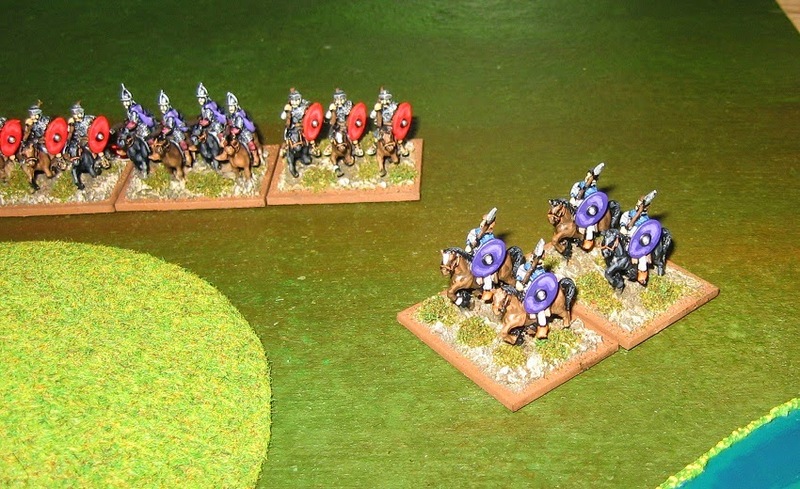 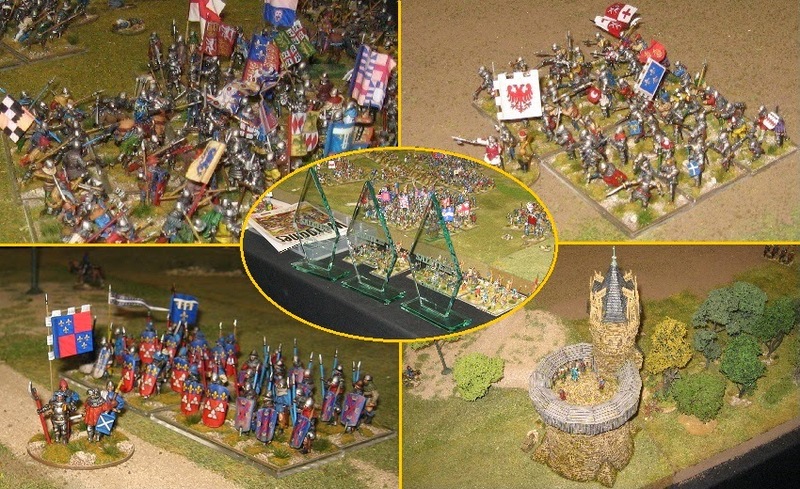 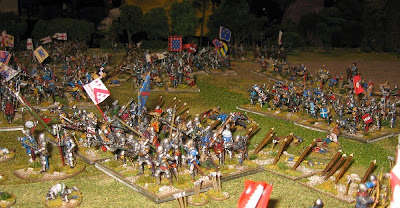 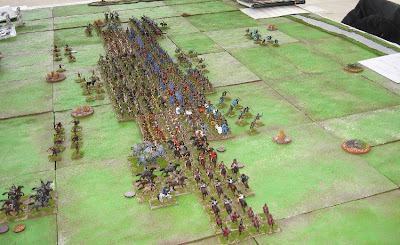 We set up two games from Henry's epoch defining 1415 campaign, a full scope Agincourt game using Impetus rules and the Society's Anno Domino game of the assault on the breach at Harfleur, Greyhounds in the Slips. Both these games ran during the game and I enjoyed giving Greyhounds another run out ... players and browsers were appreciative as usual and we had the full range if outcomes (including Henry getting killed by a crossbow bolt from the tower ... how very 'lion-hearted' of him! 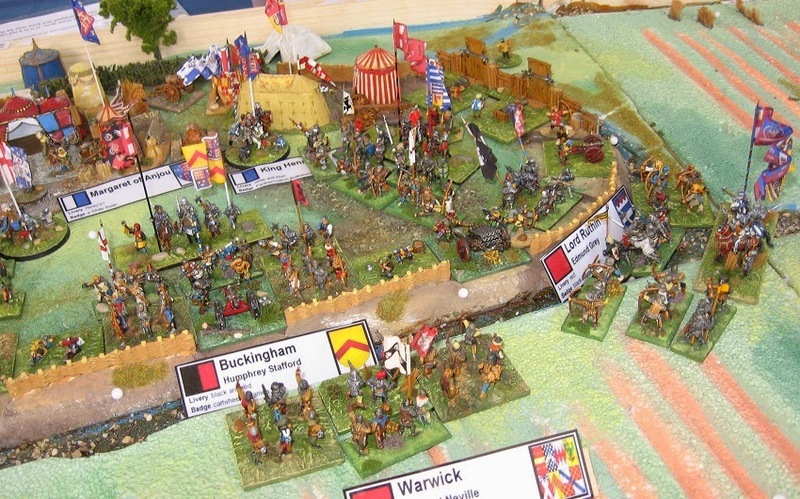 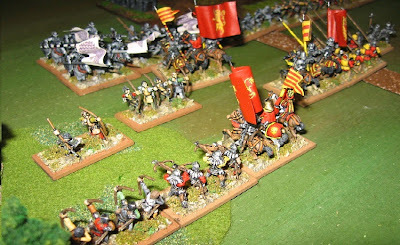 ... ) although generally the iconic warlord won the town and went on to fight at Agincourt. Well done to the L&L ... and well done to the Agincourt theme ... 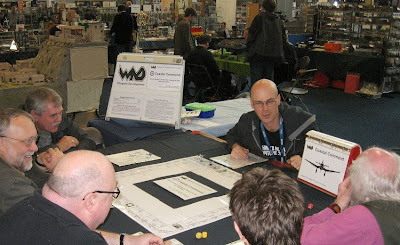 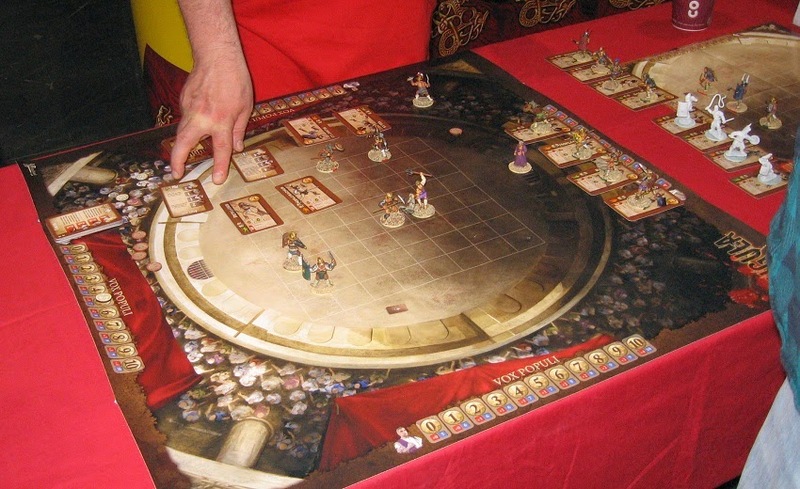 I have featured games using Impetus, HC and FoG but there were others as well. 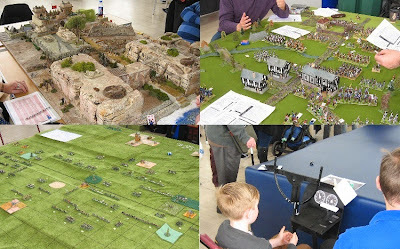 A great showcase. 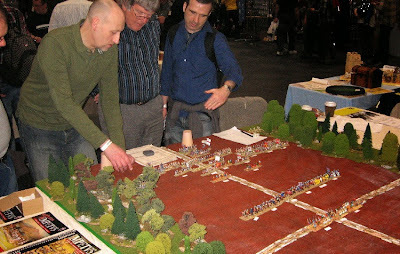 The lighting seemed better, but the acoustics can be attritional ... and the fantasy shopping hubs were a bit scary ... but it remains the UK's premier show and it was great to see the societies there flying the flag for traditional historical wargaming and contributing some of the best looking tables at the show. 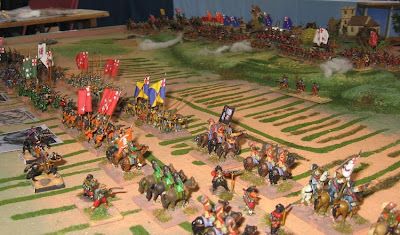 See you next at Campaign ... don't miss it.